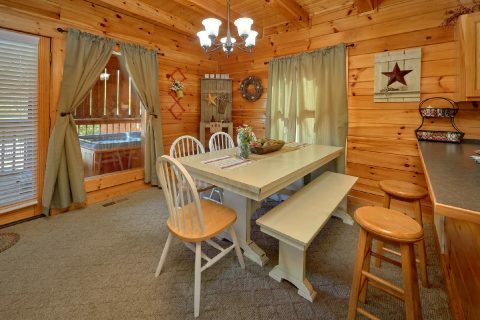 Come escape to a Blackberry Resort cabin near Gatlinburg, TN at “Absolute Delight”. This cabin rests only minutes from the main attractions of Pigeon Forge and provides easy access to Gatlinburg attractions as well, making this the perfect cabin rental for your mountain stay. 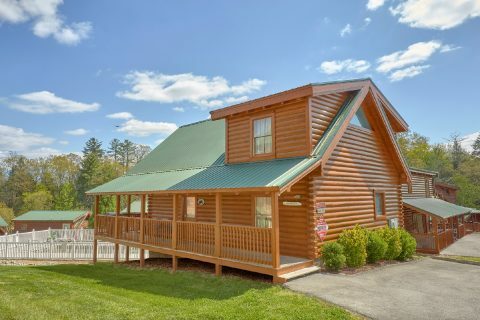 This affordable luxury 2-bedroom cabin is conveniently located beside Blackberry Ridge Resort's swimming pool, so you can enjoy some fun in the summer sun during your getaway! 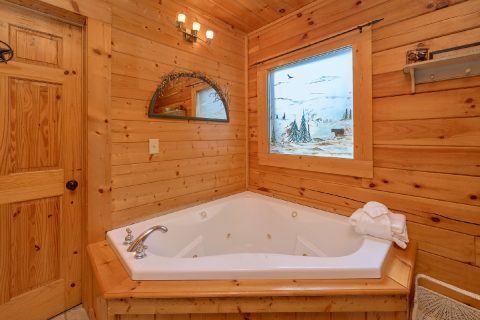 Back at your cabin, visitors can enjoy the bubbling warm waters of the hot tub on your back porch all year long or walk to the swimming pool to cool off from the summer heat. 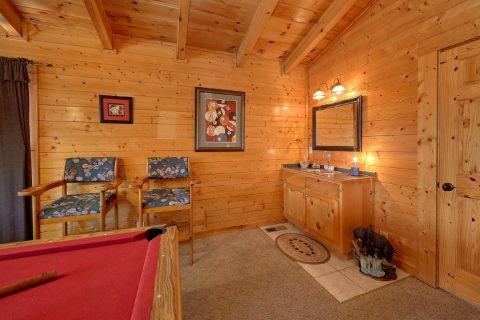 Inside, you’ll enjoy a comfortable cabin that’s perfect for relaxing and entertainment. 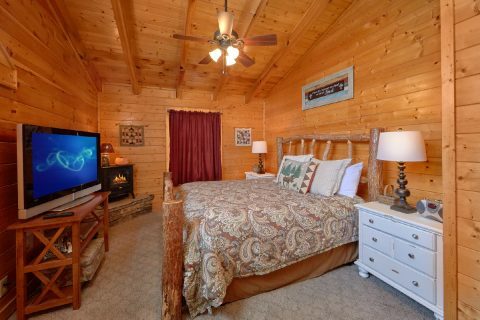 The Smoky Mountains area offers non-stop fun and so does your cabin in Pigeon Forge, TN. 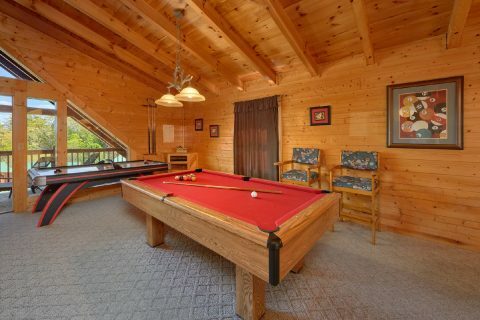 The game room's full-size pool table and air hockey table allows for hours of indoor, late night fun. 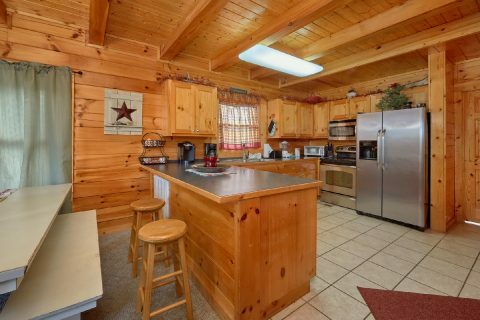 Save those vacation dollars with this Pigeon Forge cabin's fully equipped kitchen with stainless appliances you can also cut down on packing space with this cabin's' washer and dryer. 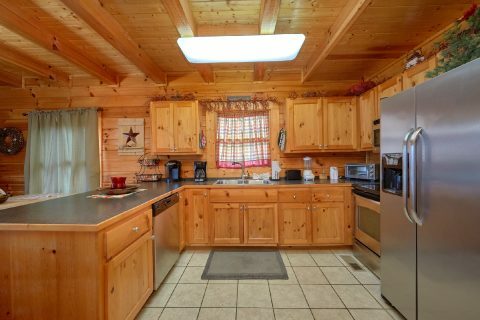 If you've been looking forward to grilling this summer, enjoy cooking steaks and hamburgers on your gas grill. 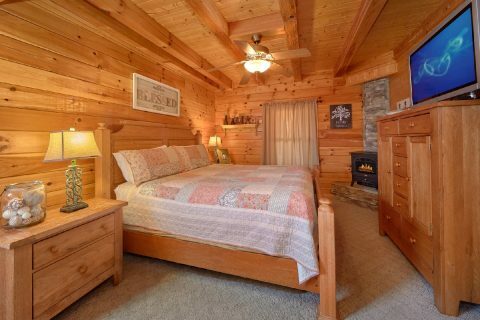 At the end of the day, you’ll need to a place to rest up for another day of fun. 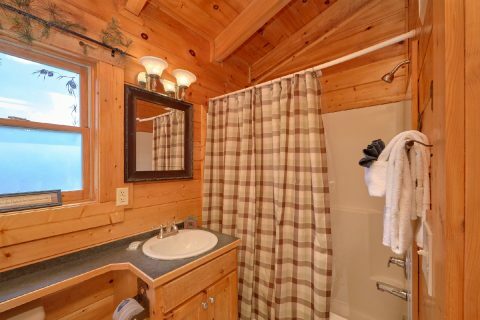 This cabin sleeps 6 features two master suites with jacuzzi tubs and fireplaces in each. 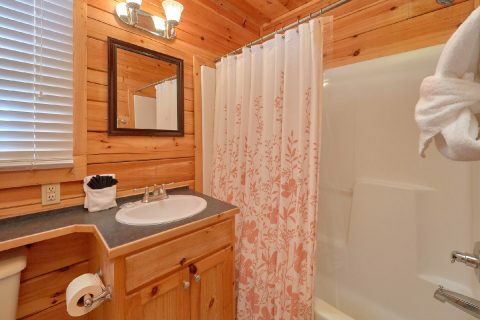 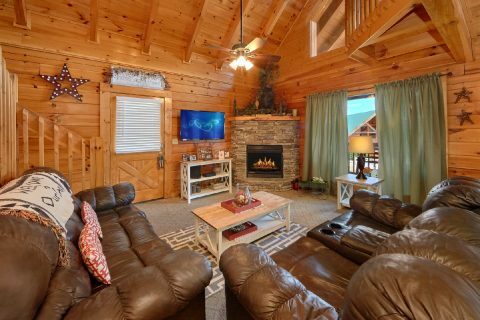 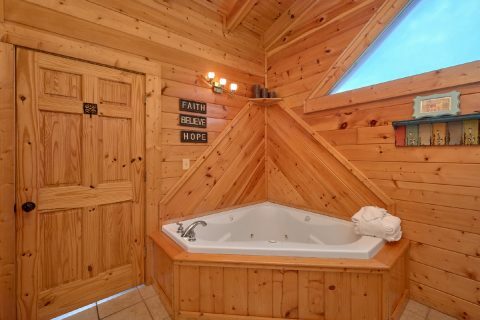 Whether looking for a night out on the town or just relaxation, this Pigeon Forge cabin is sure to be an absolute delight! 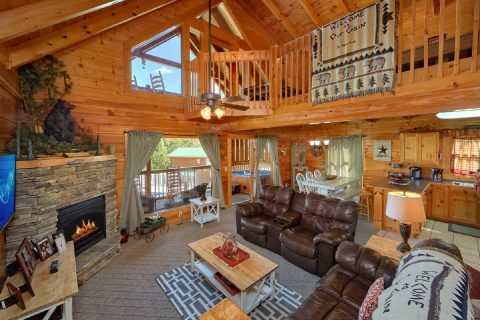 Start your memorable Smoky Mountains vacation fun by booking your cabin in Blackberry Resort near Gatlinburg, TN online and get immediate savings!